Western Washington University's general education program promotes a broad liberal education as important for informed and effective participation in contemporary life. Known as GURs (general university requirements), these courses are the foundation upon which more specialized training is based. The GUR program promotes cultural literacy, diverse ways of thinking, awareness of other cultures, and helps provide the skills and knowledge needed to be an effective citizen and worker. 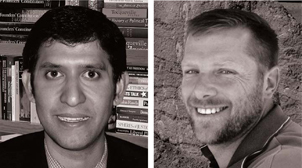 Although Western supports general education, its faculty—like those in other institutions—have been trained as specialists, responsible primarily for teaching and research within their particular domain. After talking with colleagues, we had an idea: why not have a program at Western in which a small number of faculty from different departments attend lectures taught by other faculty who also teach GUR courses? 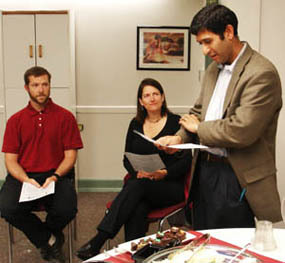 To help bridge the gap between specialization and general education, the Faculty GUR program in its first year (2008-09) brought together six faculty members from different departments across the university in a faculty learning community (FLC) that sought to enhance each participant's general education by relying on each other's domain of expertise. 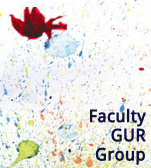 The Faculty GUR project addresses Western's values of engagement and innovation, as well as the strategic goal stating that "The University needs to devote more resources to support innovative teaching, high quality scholarly and creative activities, and collaborative and interdisciplinary activities." Faculty Learning Communities (FLCs) are a growing means for promoting a culture of learning on campuses. According to Miami University's Milton Cox, one of the leading proponents of faculty learning communities, an FLC is "a cross-disciplinary faculty group... engaging in an active, collaborative, yearlong program... about enhancing teaching and learning and... activities that provide learning, development, interdisciplinarity, the scholarship of teaching and learning, and community building." General education is well suited for the faculty learning community approach because it is interdisciplinary; it is ongoing; and it requires the active collaboration of various departments within the University. The Faculty GUR, however, is the first FLC to be structured around the idea of general education. This innovative project is poised to contribute an important precedent to the larger dialog about FLCs. As part of the preparation for the initial year of the program, two faculty participants, Kendra Douglas and Pete Stelling, along with the director of WWU’s teaching and learning center, Karen Casto, attended the conference put on each year by Milton Cox and his colleagues in the faculty learning communities movement. All attendees came away from this conference with greater knowledge about how faculty learning communities can fit into university culture and they made connections with people developing FLCs at other institutions. encourage a greater commitment to liberal education at Western. The first year of the Faculty GUR has been very successful and enjoyable. The burden was relatively light, and the reward was great. The six core members of the group (representing Modern and Classical Languages, Economics, Geology, Environmental Studies, History, and Art History) each led a "mini-course," consisting of two 90 minute classes in one week. See the sample "Mock Study Guide" (PDF) from the Art History mini-course. The remaining five members, along with any other interested faculty, staff and students attended each mini-course. Given the challenges of coordinating 12 meeting times around the busy schedules of the six core faculty members, the attendance was surprisingly high. The attendance of additional faculty varied from class to class and subject to subject, but all mini-courses included attendees outside the core group. This success was due in large part to the publicity campaign put on by the Center for Instructional Innovation and Assessment, who also worked with the Office of Survey Research to create an assessment plan (PDF) for the group’s first year. The first year of Faculty GUR taught us a lot, in many ways and on many levels. Taking center stage was the content of each mini-course. Each member taught selected material from his/her own GUR course. The content of the classes included introductions to sociolinguistics and economics, discussions about sustainability, an exploration of volcanism and how to assess volcanic risk, the origins and development of the Second Amendment, and an exploration of Japanese art in a global era. Because the courses were based on material each of us teaches in our own GURs, it provided a direct window into each other's classrooms. Given that the content was somewhat (or completely) unfamiliar, we each became students again, learning new material but with a greater appreciation. A primary benefit of Faculty GUR sessions was a display of a variety of instructional techniques and compelling discussion about teaching methods. Since we were all teachers, we were able to make keen observations of other quality teachers in action and discuss teaching techniques, pedagogy, and solicit classroom management advice during and after their classes. Often the discussion of teaching was as informative and vibrant as the discussion of content. Behind the scenes was a bonding of peers and a deeper understanding of education. We not only became friends, but we found allies in our support of quality instruction and general education. We also found that our respected colleagues can act just like our students: tentative to speak up in class but willing to contribute if pressed. Perhaps our students are much more like ourselves than we sometimes admit, and the traits that madden us may be traits we also possess and therefore empathetically address. In the end, we are richer students, teachers and advisors as a result of our participation in Faculty GUR.